Do more with the latest 9.7" iPad from Apple. Trending at $289.99eBay determines this price through a machine learned model of the product's sale prices within the last 90 days. The display also has multi-touch support. With support for 802.11ac Wi-Fi, the iPad supports both 2.4 GHz and 5 GHz frequency bands. A10 Fusion Chip This iPad features an A10 Fusion chip, which has 64-bit architecture, four cores, and over 3.3 billion transistors. Sealed! Apple iPad 6th Gen. 32GB, Wi-Fi, 9.7Inch - Space Gray 2018 MODEL! FACTORY SEALED! QUICK SHIP! TRUSTED SELLER! MANY SOLD! 5 out of 5 stars - Sealed! Apple iPad 6th Gen. 32GB, Wi-Fi, 9.7Inch - Space Gray 2018 MODEL! 108 product ratings108 product ratings - Sealed! Apple iPad 6th Gen. 32GB, Wi-Fi, 9.7Inch - Space Gray 2018 MODEL! WITH APPLE INTERNATIONAL WORLDWIDE FACTORY WARRANTY! NEW Apple iPad 6th Generation 32GB Gold MRJN2LL/A 9.7"Ret WiFi TouchID .29"Thin! 5 out of 5 stars - NEW Apple iPad 6th Generation 32GB Gold MRJN2LL/A 9.7"Ret WiFi TouchID .29"Thin! 86 product ratings86 product ratings - NEW Apple iPad 6th Generation 32GB Gold MRJN2LL/A 9.7"Ret WiFi TouchID .29"Thin! 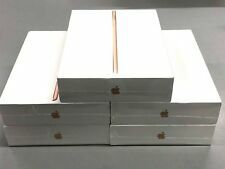 New ListingApple iPad 6th Gen. 32GB, Wi-Fi, 9.7in - Silver PLUS EXTRAS!! Apple iPad 6th Gen. 32GB, Wi-Fi, 9.7in - Silver. Condition is Used. Shipped with USPS Priority Mail. iPad has had very minimal use. I bought it to use at work but never really did us it much. Comes with iPad in original box, AC Adapter, Lightning cable, red Smart Cover, Apple Pencil with Red case and an Incase sleeve. 5 out of 5 stars - Apple iPad 6th Gen. 32GB, Wi-Fi, 9.7in - Silver PLUS EXTRAS!! 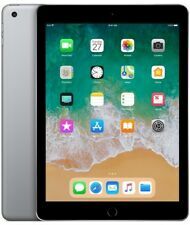 23 product ratings23 product ratings - Apple iPad 6th Gen. 32GB, Wi-Fi, 9.7in - Silver PLUS EXTRAS!! Trending at $231.64eBay determines this price through a machine learned model of the product's sale prices within the last 90 days. IPad 6th Gen 9.7in(Space Gray). So you will receive within 2-4 depending on which state you located. Very Great Condition 9.5/10.0. Cleaned and tested. Fully functional, work perfectly. TESTED SPACE GRAY GSM UNLOCKED 9.7" APPLE iPad 6TH GEN 32GB WI-FI CELLULAR A1954. 1 GSM Unlocked Space Gray iPad 6th Gen 32GB, Wi-Fi cellular. Carrier: GSM Unlocked WiFi Cellular. This iPad is a 9.0 on a scale of 1 to 10 in condition. Apple iPad 6th Gen. 128GB, Wi-Fi, 9.7in - Silver NR7K2LL/A. Apple iPad 6th Gen. 128GB, Wi-Fi, 9.7" - Gold withOriginal Accessories. New Open Box Item. 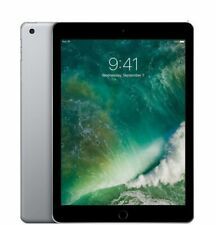 NEW Apple iPad 6th Generation 32GB Silver MR7G2LL/A 9.7"Ret. WiFi TouchID iOS11! 5 out of 5 stars - NEW Apple iPad 6th Generation 32GB Silver MR7G2LL/A 9.7"Ret. WiFi TouchID iOS11! 23 product ratings23 product ratings - NEW Apple iPad 6th Generation 32GB Silver MR7G2LL/A 9.7"Ret. WiFi TouchID iOS11! Apple Ipad 6th Gen 32GB. The nano-SIM tray is on the right side on iPad (5th generation) Wi-Fi Cellular. Color: Gold. Tu Satisfaccion es lo mas importante para nosotros. Estamos aqui para servirte. This item is gently used. The item shows minor signs of wear and tear including scuff marks and worn finishes. The item has been tested and is fully functional. The original manufacturer limited warranty is valid through July 9, 2019. Ipad is in good condition with the only imperfection being the small bezel indention shown in the pictures. Very small and only seen upon examination. Verizon Bad ESN; see photos. Device has been fully factory reset to original conditions and does not have any passwords connected to it. Almost Like New. Few Signs Of Use. Now with Apple Pencil support, you'll be able to write notes, paint a watercolor, or sign a lease, all on the iPad. With the optional Apple Pencil, you'll have the precision and responsiveness of a stylus as well as the natural feel of a pencil. This phone is for the AT&T network. AT&T is a GSM network. This iPad was powered on, wiped, and reset to default settings. Physically, this iPad has light scratches & scuffing from normal use. The touch screen has light scratching. Apple iPad 6th Gen. 128GB, Wi-Fi (Non US Versions), 9.7in - Space Gray W/ Extras. Condition is Used. Shipped with USPS Priority Mail. IPad 6th Gen. 32GB, Wi-Fi Cellular (AT&T), 9.7in, Space Gray with light scratch on back (see photo). Apple iPad (1 owner) always in case with tempered glass screen protector since unboxing. Unable to find the pencil charging adapter long ago so see included the gold Apple pencil USB charging cable. 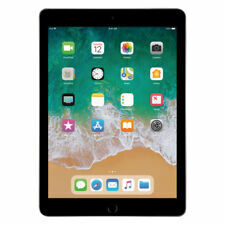 Apple 9.7" iPad 6th Gen 128GB Space Gray Wi-Fi MR7J2LL/A 2018 Model. Shipped with USPS Priority Mail. Trending at $279.00eBay determines this price through a machine learned model of the product's sale prices within the last 90 days. Apple iPad 6th Generation A1954 32GB Tablet-Space Gray w/ Case & Original Box! It is a 32GB Unlocked to AT&T! I am original owner and have never taken ipad out of case or dropped it! Apple iPad (A1893) 6th Gen, 32GB, Wi-Fi, 9.7in - Space Gray, MR7F2LL/A🔥🔥🔥. Now supports Apple Pencil. Units are tested and inspected by certified technicians. Units may have slight scratches due to regular handling. Apple Warranty included! Includes original box and accessories. List your iPad in Just Minutes. Find out how much it is worth. Apple iPads come with many features to increase their utility for users, and the 6th Generation includes many of the most popular capabilities: front and rear built-in cameras, backlights, and Bluetooth compatibility. The 9.7-inch 6th Gen Apple iPad is the perfect size for purses or satchels, or to use while traveling. The 6th Generation iPad has many utility-adding features which Apple users have come to expect from the company's products. The body case features nano-SIM trays, lightning connectors, build-in back-facing stereo speakers, a traditional headphone jack, and on/off/sleep buttons. The 2048 by 1536 pixel display features a 264 PPI display, and front and rear facing cameras with a mediated camera bump; and also boasts a few notable improvements which should greatly enhance the user experience. For example, the 9.7-inch iPad comes with software to support the Apple Pencil, and comes with body-sensing cameras on top of already-existing face-sensing technology, touch ID capabilities, three-axis gyro sensors, an accelerometer, barometer, and ambient light sensor. What Are the Technical Specifications of the 6th Generation 9.7 Inch iPad? ● Apple Pencil compatibility is one of the key features offered in the 6th Generation iPad, which allow the iPad touch surface to function alongside a separately purchased Apple Pencil. This allows users to easily draw, sketch, and take notes on-the-go. ● The inclusion of the Apple A10 chip means that 6th Gen iPads can compute functions, run information-intensive apps, and finish complex processes all at high speeds. The chip runs at a 64-bit architecture, features 4 cores, and contains over 3 billion transistors. ● The form specs of the 6th Gen iPad include a height of 9.4 inches, width of 6.6 inches, depth of 0.29 inches, and weight of 1.05 lbs. Which Finishes does the 6th Generation 9.7 Inch Apple iPod Come in? Which Storage Capacity Should I Select for my iPad? ● 128 GB iPads are for those who tend to do more resource-intensive computing, and make many downloads, or intend to use augmented reality experiences to the fullest effect. ● 32 GB should be perfect for those wanting only to do light computing, and not take too many images or videos. Content provided for informational purposes only. eBay is not affiliated with or endorsed by Apple.